Yamaha WX-030 review | What Hi-Fi? You know when you meet your friend’s partner for the first time and they weren’t at all how you’d imagined? Well, having spent some time with Yamaha’s imaginatively designed ISX-80 wireless speaker, we weren’t expecting this unassuming little box to be its other half. Without resorting to clichés, it is fair to say we like unassuming if it means the focus has been put on sound quality. Judging by the Yamaha WX-030’s slanted quadrilateral design, three sides of which are grilled to emit sound, we feel reasonably sure that’s the case. Beneath the WX-030’s modest exterior, a claimed maximum power of 30W feeds a 30mm tweeter and 9cm woofer, which is in turn aided by a passive radiator – here is a speaker designed to sound a lot bigger than it looks. That, of course, means no stereo unless you have a pair; but Yamaha’s MusicCast multi-room system makes that kind of grouping simple, and the fact you can hang the WX-030 from the wall means a second one need not take up any more work space. The minimalist design continues on the speaker’s forehead, where a trio of lights indicate your connection status – you can do so via all of the most popular wireless routes: wi-fi, Bluetooth, AirPlay, DLNA or Spotify Connect – and on its crown are touch-sensitive buttons for power, volume and play/pause. It feels like a speaker geared towards easy and speedy listening, and we are soon testing with John Frusciante and Josh Klinghoffer’s collaboration A Sphere In The Heart Of Silence. First, we can’t help but be taken aback by the scale of the sound. The synthesizers that open the album on Sphere are bulky and solid – far more so than you should be expecting from such a petite speaker. There’s a decent sense of timing and organisation as well; it keeps the conversations between the instruments comprehensible and steers them from talking over one another. When the kick drum arrives as the piece’s pulse, it drives it forward with just enough force and bass weight so as not to skew what is a respectable balance. Treble is rolled off a little, but this keeps it from becoming harsh or hardening at higher volumes and gives emphasis to a solid midrange. It helps elements such as Frusciante’s rather thin-sounding guitar in this opening track to remain pleasant. We would like a little more in terms of expression and dynamics, however. On tracks such as Walls, where Frusciante’s screams should be apoplectic, it is a change of his vocal style more than gauging of expression that guides the listener. A lack of dynamic versatility means the WX-030 fails really to capture the haunting solitariness of Klinghoffer’s piano and vocal on Communique and, though it remains an engaging listen, loses some of that emotion. The soundfield, too, could be wider. Of course we aren’t expecting yawning canyons of space from so small a wireless speaker, but more saturated textures can sometimes become a tad congested – especially given the power and low-end presence that woofer and bass radiator are working hard to release. The WX-030 carries itself like a speaker twice its size without becoming too big for its boots, delivering a solid and coherent performance. 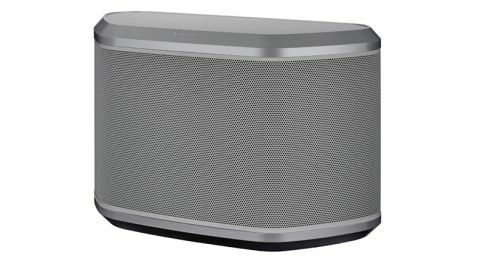 The versatility to pair it with another of its own stock as a stereo system, or with more than 20 other Yamaha products as part of a MusicCast multi-room system, only play further into its hands. As a standalone wireless speaker, it isn’t the most talented we’ve heard at this price, but it shouts loud enough to avoid being ignored.